I warmly welcome Pope Francis’ message for World Communications Day 2018, which we celebrate on Sunday. This year’s theme, “‘The truth will set you free’ (Jn 8:32). Fake news and journalism for peace”, is particularly relevant in our era of social media and digital communications. The theme also resonates strongly this week in Ireland as we count down to the referendum on the Eighth Amendment on 25 May. In his message this year, Pope Francis gives us advice and guidance about “fake news” and encourages us to promote a journalism of peace. All of us need to ask ourselves “what is ‘fake news’?” Pope Francis tells us “fake news” is “false but believable news” that is sensational and often goes viral. It is the “spreading of disinformation online or in the traditional media … based on non-existent or distorted data meant to deceive and manipulate the reader”. It seeks to “advance specific goals, influence political decisions, and serve economic interests”. 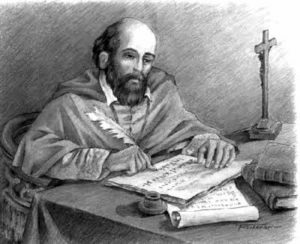 He chose to publish his message on the Feast of Saint Francis de Sales, patron saint of journalists and writers. This great saint preferred to confront the hostility of his time with the example of holiness and love. If he were around today, I expect his advice to all those in the media would be: “teach and proclaim the truth with love”. You may access the full statement issued by Pope Francis by clicking here. 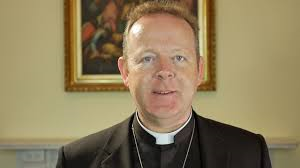 Archbishop Eamon Martin is Archbishop of Armagh and chair of the Council for Communications of the Irish Bishops’ Conference. A special feature on World Communications Day is now available on the homepage of catholicbishops.ie which includes background to World Communications Day and the message of Pope Francis for 2018. World Communications Day will be celebrated universally this Sunday 13 May, Solemnity of the Ascension of the Lord.